Hi - it's Mona again! I love to save money. I have been a couponer and deal junkie for years (I actually ran a coupon-savings blog for years). I look for savings on everything I can. Anyway - I am always looking for a good deal on fabric. I truly believe that you should support your local quilt shop. 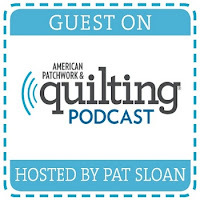 Some people think that local quilt shops (LQS) are too expensive; however, when you factor in shipping, not to mention the customer service, the prices are more often than not, quite reasonable and similar to what you'd pay online. Having said that, I do some shopping online - and a LOT of looking. Sometimes your LQS doesn't have what you need in stock or you don't have time to run by their store. Not long ago, I found out that Hancock's of Paducah has an ebay store. And, most of the items ship free when you order through ebay! When I found out that you can get some great deals at Hancock's of Paducah - and not have to pay shipping -I was sold! A lot of times the fabrics that are discounted are lines that have been out for a while. I'm fine with that! What about you - do you ever need a yard of fabric, but it's cost-prohibitive to purchase once you add on the shipping? If so - you might want to check this out. You can also find deals on fabric and sewing supplies here. Thank you for visiting today. I plan on sharing more deals in the future! There are so many wonderful places to shop for fabric and supplies online such as Delta Patchwork (great sales), 5 Bucks A Yard and Thousands of Bolts just to name a few. I also support my LQS too. They have sales, great sales people, a fabulous remnant bin of the latest fabrics and you can touch and feel the fabrics. 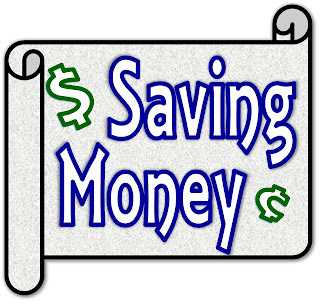 Shop smart to save money. While I do not shop JoAnn's for fabrics, I have learned to use their coupons to purchase notions at a discount.